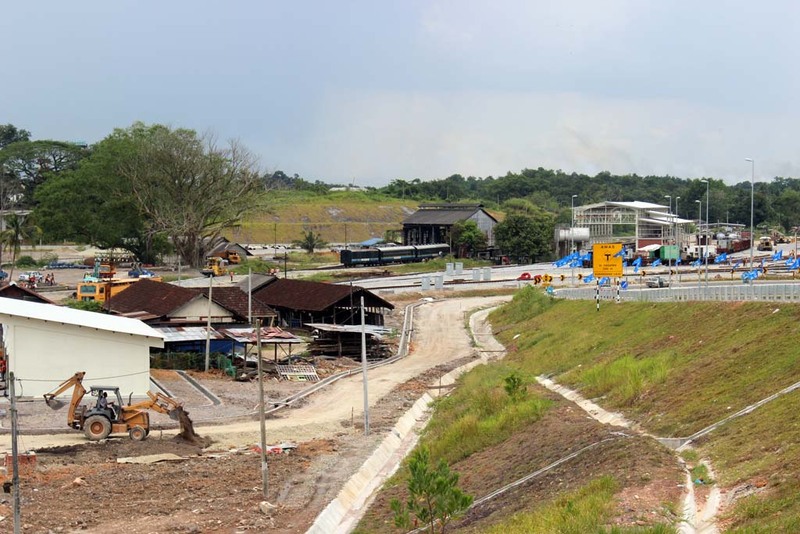 Back in 2011, my impression about Gemas was it’s a small backwater town in the middle of peninsular Malaysia. 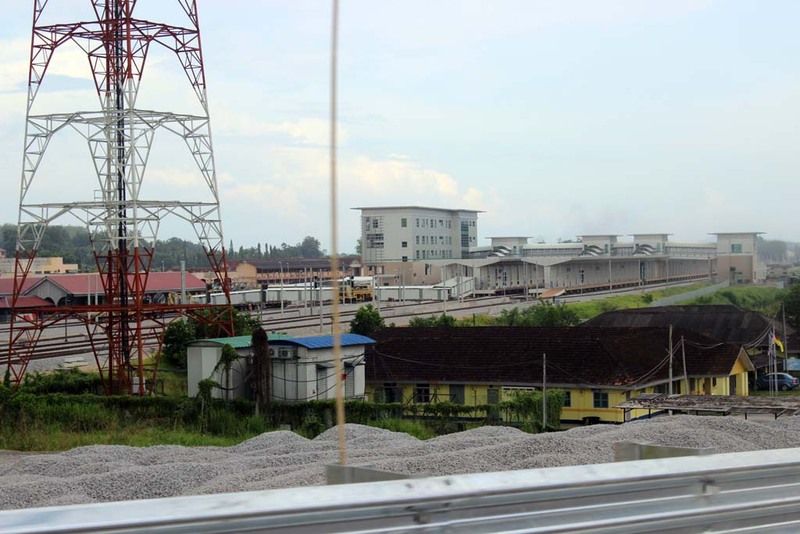 That was my impression about Gemas when I looked at the town from inside of my train. But that impression partly changed when I made the visit to this small town (really a small town by my standard, who get used to see crowded “small” towns in Java island). 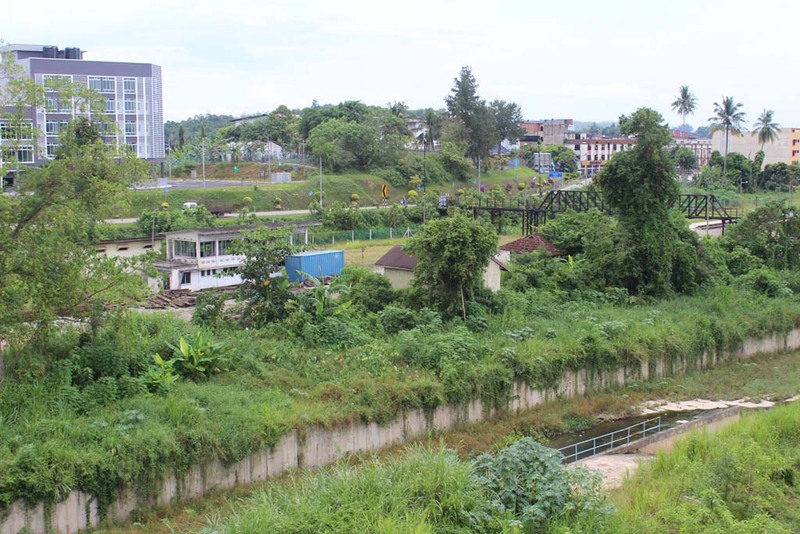 Despite of its small size, it is quite a developed town. There are some international chain restaurants, there are many modern amenities, and it is very civilized. Yet, it doesn’t feel like a suburb of a large city…no. It is a small and peaceful town. Bang Noor invited me for a lunch at one Chicken Rice restaurant. 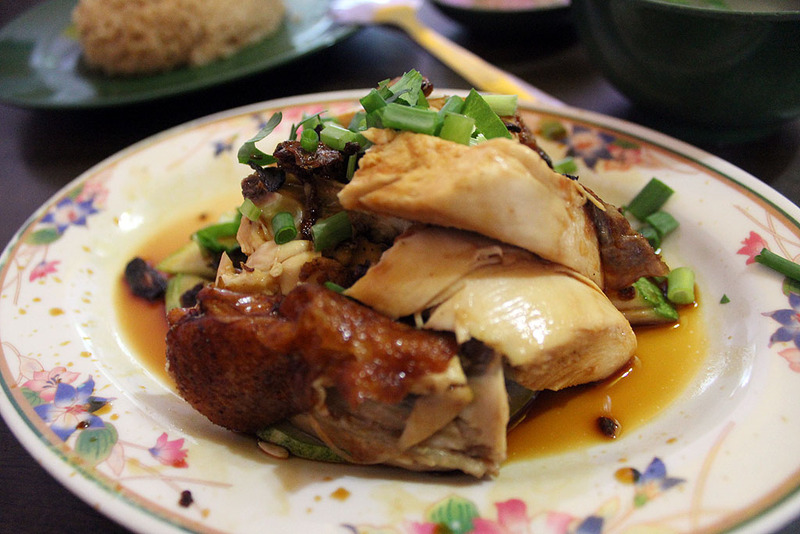 He said it is the best chicken rice restaurant in Gemas. I have to say, the taste really match his description. After we finished our lunch, bang Noor invited us to his house. 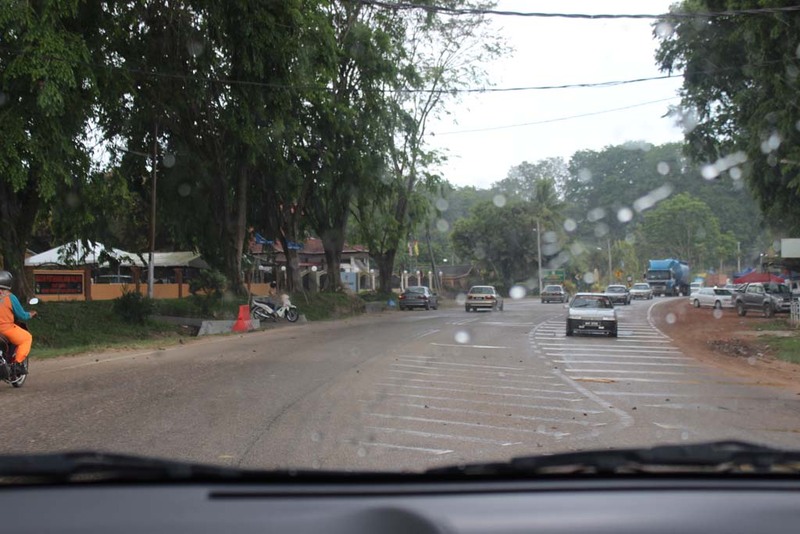 Along the way I can see how peaceful Gemas is. The streets are busy, but the town itself is generally quiet. 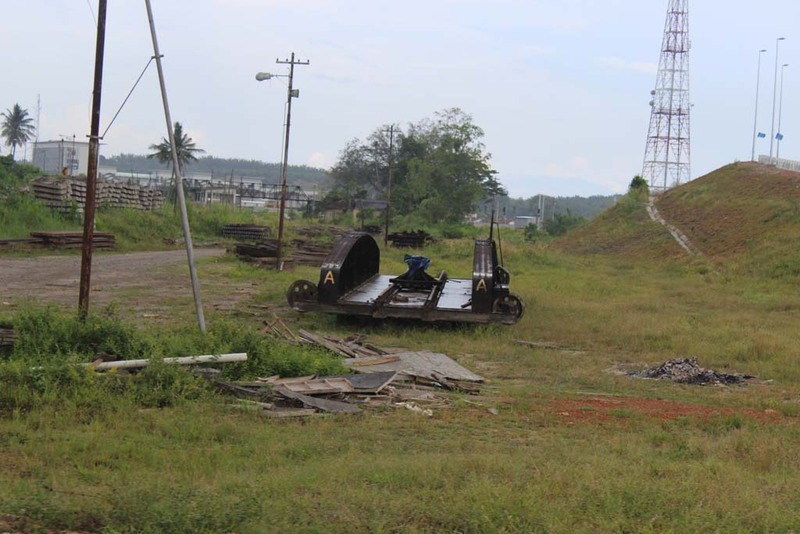 When we’re about to cross the new overpass, I came across the old Gemas turntable. 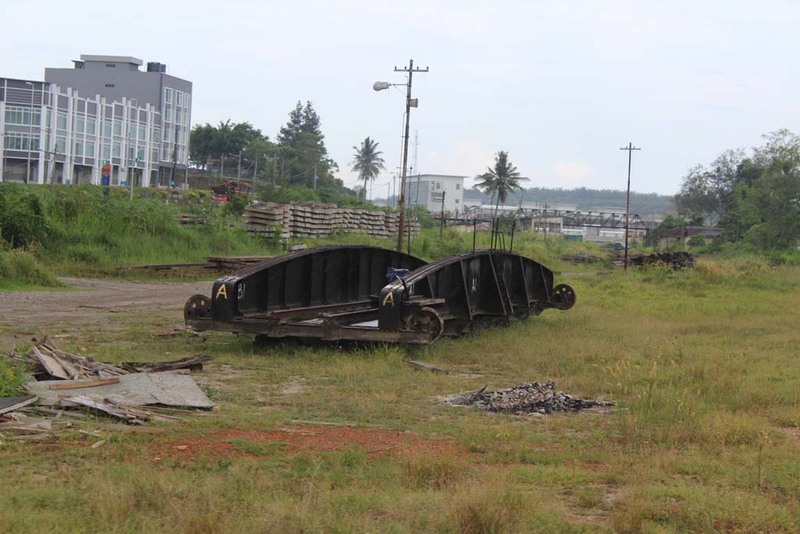 This turntable was removed from its position when they demolish the old Gemas loco depot and turntable. In fact you could see that the clearing on the left was once the original railway alignment. 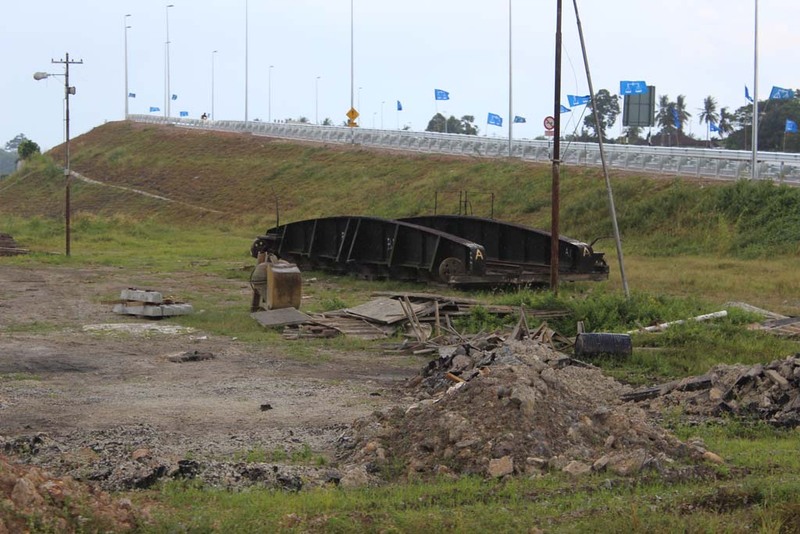 You could even see the old overpass bridge in the background, where it was once a favorite trainspotting place, when the railway track used to cross underneath it. 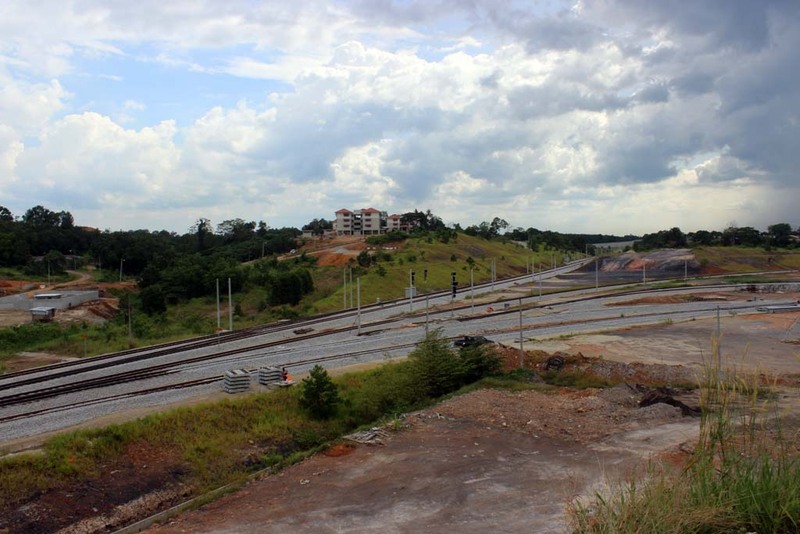 I could also see the new Gemas station complex from the overpass. We’re arriving at bang Noor’s house where we were greeted by his wife and children. I didn’t take photos during the visit, as I was rather tired to unpack my camera. His house is typical bungalow house normally used to house KTM employees. It is the first time I see the old British colonial era wooden bungalow house. Judging by its style the house must be built after WW II. Bang Noor said that the house is not his private house, because it is provided for KTM employee only. He already owned a house in Pahang, on Malaysia’s east coast. After we take a brief rest, we resumed our journey to Malacca. The journey is my chance to see real Malaysian countryside. 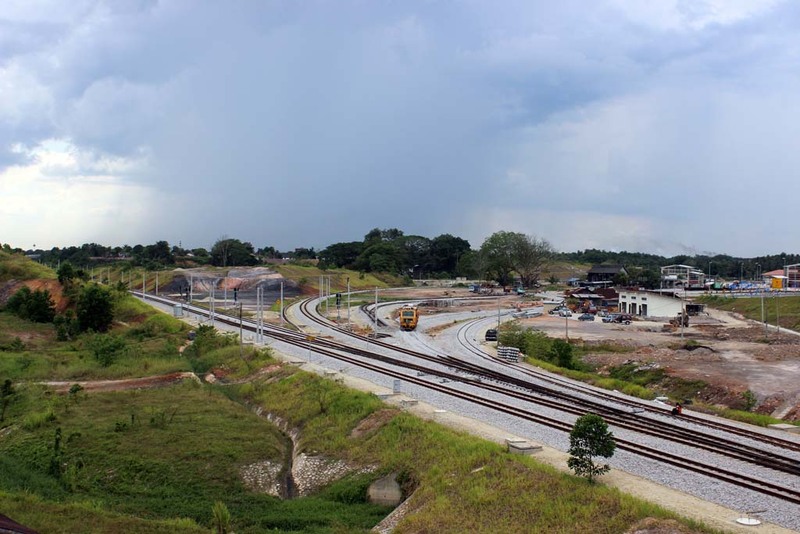 Along the way, we made a brief stopover at Gemas flyover, so I could take the picture of the new wye track at Gemas (it was previously a junction). We could also see the new locomotive depot. It seemed that most of the original depot buildings have been demolished. 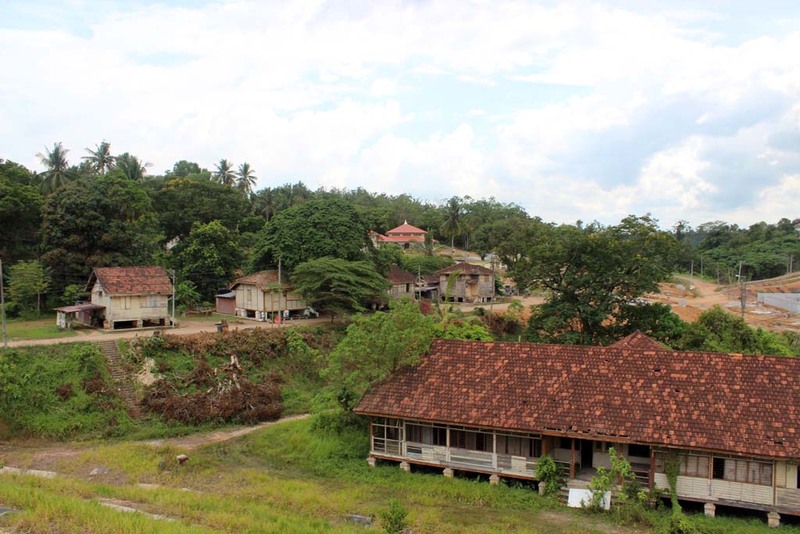 As I turned to the left, I could see old buildings that gave rural “kampong” feel. I crossed the street to photograph the other side of the bridge. From this point you could see the remains of the old railway alignment behind the trees, including the old signal house and pedestrian bridge. 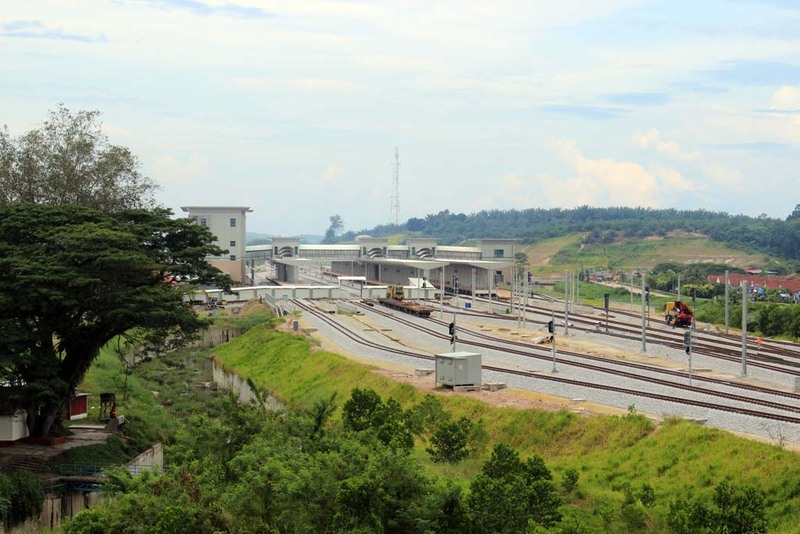 A much clearer view of new Gemas station, complete with the old Gemas station on the left. 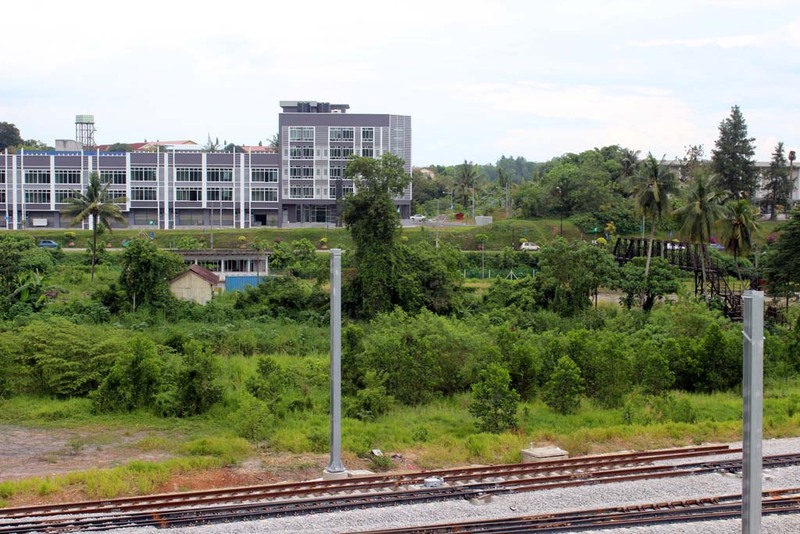 It is common practice in Malaysia to built newer railway station on the site of the former yard of the elderly station, including in this station. 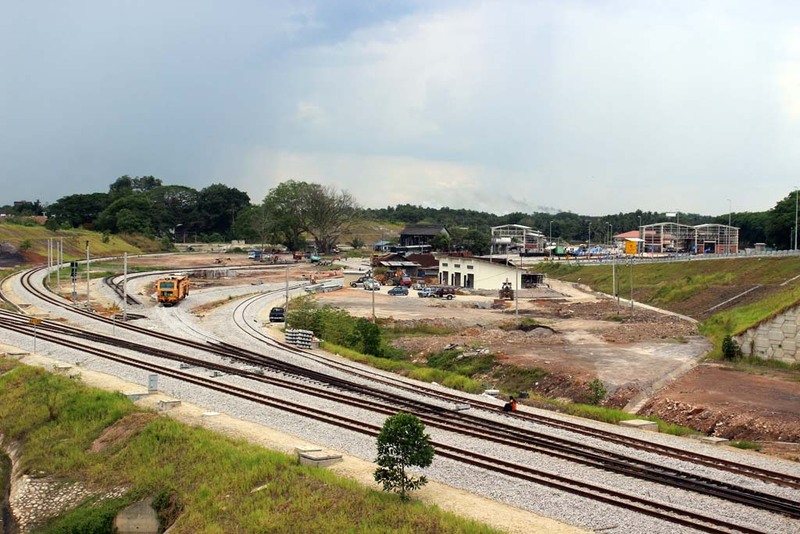 The practice is pioneered at KL Sentral which is built on former Brickfield railway yard, and later followed at JB Sentral which is built on former Johor station yard. 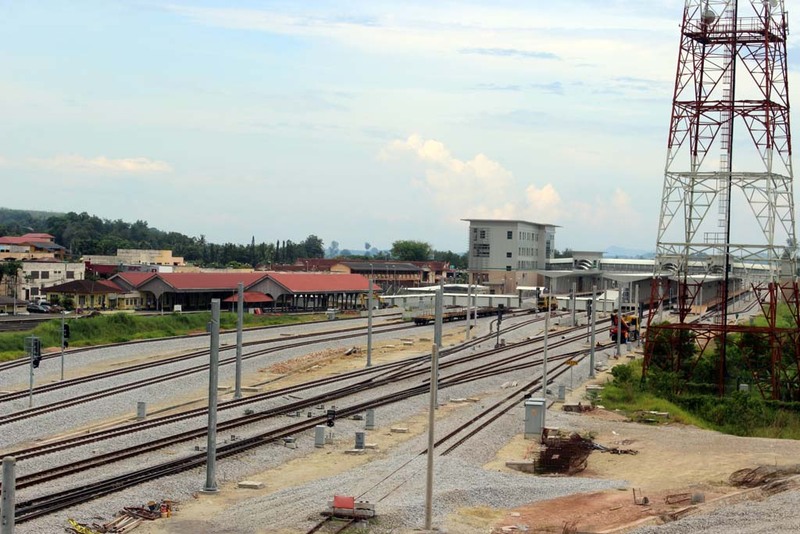 They didn’t do the same thing when they modernize Ipoh and Kuala Lumpur station. This part of track is quite new. 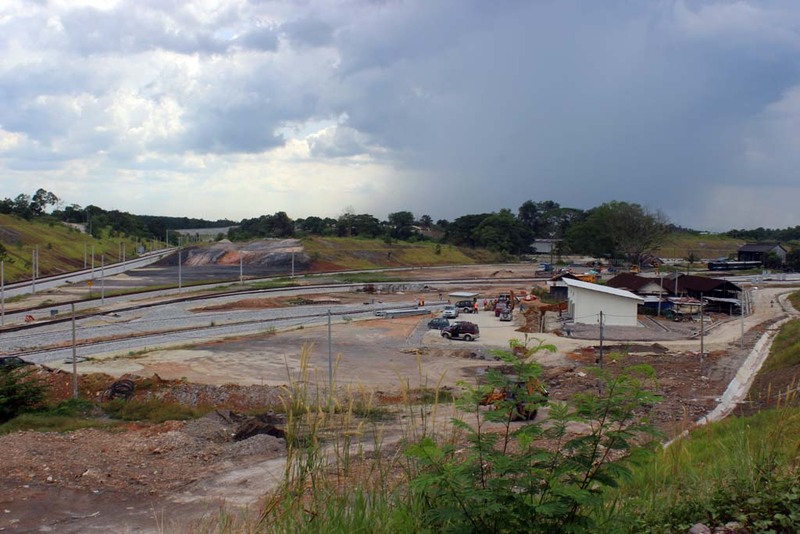 Before the double tracking project, there was no railway track over here. I don’t what was on it. If you look on the buildings on the center right, those buildings were once parallel to the old alignment. And it was true. At the other side of the bridge, the trace of the old alignment is clearly visible. As we get closer to the depot, you predict where the old alignment was. And it seemed that the building where the coaches are parked is the part of the old locomotive depot. Last snap before we’re proceeding to Malacca. It seemed that most of the tracks are not usable yet.